It’s May and many television shows are wrapping up their seasons. For Andy Page, it’s also the busiest time of year for SpoilerTV, a site for TV news, rumors, and reviews, which he started in 2007. Luckily, he’s been building websites for over a decade. SpoilerTV would be even bigger than Andy’s first site, attracting millions of engaged readers per year—or at least, that’s what he hoped. In this competitive world of digital media however, building a following online is no easy task. Andy had already created one successful website, but could he replicate his success? Fortunately for Andy, he already knew how to produce high-quality content. But he also knew from experience that great content alone wouldn’t set him apart from the competition. He needed to build an audience, get readers engaged, and give them a reason to keep coming back for more. For that, he turned to Disqus. In a highly competitive environment for publishers on the web, readers have an infinite number of options for consuming content. 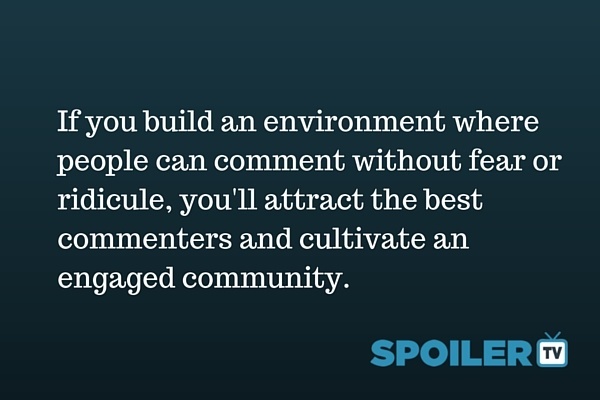 In order to stand out from its peers, SpoilerTV focused on building its community. Andy was on to something, but as we know you can’t just add comments and expect a community to emerge. You have to listen, engage, and build relationships with your readers. These aren’t simple tasks of course. Having invested in their community though, SpoilerTV has seen this commitment to their readers pay off in meaningful ways. SpoilerTV has been using Disqus almost from day one. That decision hinged on one important criterion: will readers adopt it? “We were on Blogger and their default commenting system. It was very, very poor. You had to use either OpenID or a Google account to comment. Readers especially loved real-time comments when discussing their favorite shows. When new comments or replies are posted, Disqus automatically loads the comment in the thread without a page reload, removing a common barrier to online discussion. It captured the serendipity of the watercooler experience, turning SpoilerTV’s discussions into an online destination. Every two months, readers celebrate Stop Lurking Day. As mobile readership grew, Andy was happy to discover that Disqus' mobile-friendly design could keep up with SpoilerTV's evolving audience, without additional configuration changes. And with the Disqus for iPhone app, readers can now comment on their favorite discussions while on the go. These strategies to make it easier for readers to comment have paid off massively for SpoilerTV. 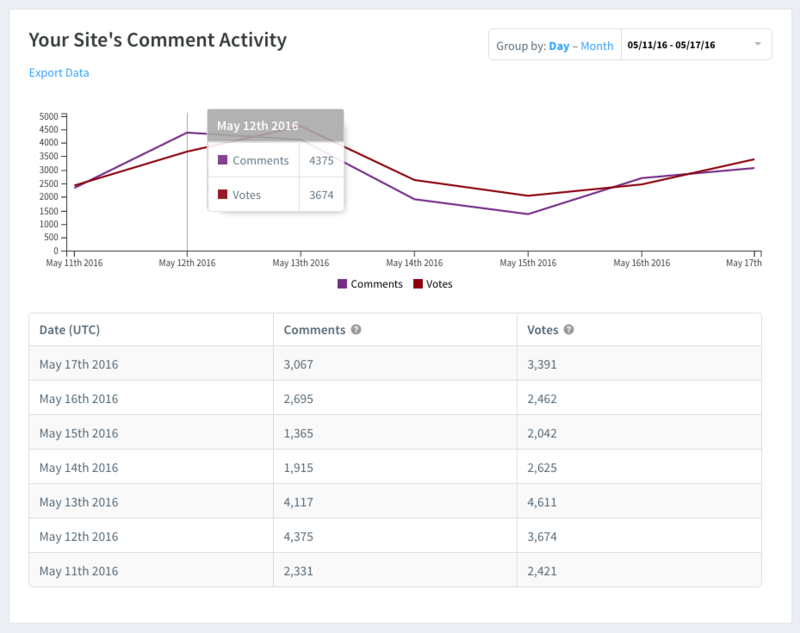 To date, commenters have contributed over 1.6M comments with close to 2K new comments posted daily. It’s not unusual to see writers on SpoilerTV replying directly to commenters on their own articles. In fact, Andy encourages his team to subscribe to their articles to get notified whenever a reader leaves a comment. SpoilerTV doesn’t have a dedicated moderator to monitor comments. 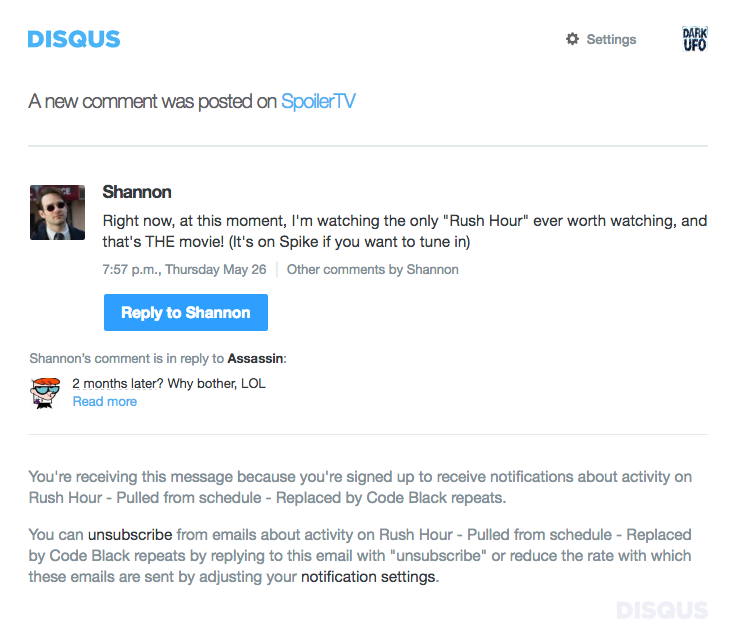 Instead, that task is shared across a small group of writers who they’ve added using Disqus’ team moderation feature. “We have about 3-4 team members who help moderate. While some of us use our personal accounts, we also have a shared account for enforcing our comment policy, letting users know why a comment was removed, or answering questions. They’ve found that getting the team involved in the discussion has helped break down the barrier that separates the writers and readers on some sites. As a result, discussions are often civil, active, and fun. Even as SpoilerTV has grown in traffic to the same heights as the largest entertainment sites on the web, the site “for the fans, by the fans” continues to recognize its community in shaping it to what it is today and into the future. Can Disqus help you grow your website’s audience, too? Today, SpoilerTV is on pace to break 100 million page views this year alone. This milestone is a testament to the community that Andy and his team of over 80 writers have established. The site now covers 350+ shows every year, a far from a dedicated site for just one show. Thank you so much to Andy for helping us get to know more about how Disqus helps him succeed. Can Disqus help you grow your website’s audience, too? If so, get started today.